Dr Azar Jammine is a leading South African economist. President Zuma has come in for much criticism for his axing of former Finance Minister Pravin Gordhan and his Deputy Mcebisi Jonas and his replacement of these positions by Malusi Gigaba and Sfiso Buthelezi. None other than the ANC Chief Whip Jackson Mthembu suggested that their only crime was that they were “incorruptible”. More importantly, three out of the “Top Six” of the ANC, viz. Deputy President Cyril Ramaphosa, Secretary General Gwede Mantashe and Treasurer General Zweli Mkhize all expressed their sympathy with the former Finance Minister and his Deputy, as well as their dissatisfaction with the manner in which they learnt of the Cabinet reshuffle. 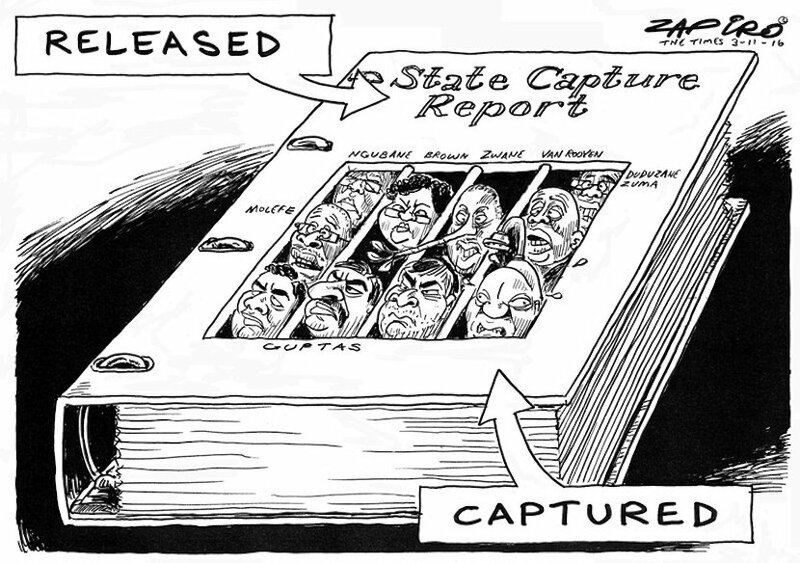 The reshuffle was huge and smacked of an attempt by Zuma to appoint ministers that would pander to his wishes. He did, however, persist in keeping Minister of Higher Education Blade Nzimande and Health Minister Aaron Motsoaledi, who have been vocally opposed to his presidency. It is clear that this was a calculated move to prevent a revolt against him by the entire Cabinet, as well as to keep the support of the SACP whom Nzimande chairs. The other point made is that Zuma has been criticised for replacing Gordhan and Jonas who were seen to be doing their job as efficiently as is possible, whilst not doing away with certain ministers who can easily be identified as having been quite incompetent. In respect of both not conferring with his executive in making the appointments and not replacing incompetent ministers, the natural inference to draw is that his new Cabinet was elected by himself in conjunction with interested parties of influence, especially the notorious Gupta family. Relatively little is known about many of the new appointments to the Cabinet, but what is clear is that some of the ministers who have been replaced were implicit critics of the Presidency. It is conceivable that some of the new appointments will prove to be good ones. Some of the CV’s of the new ministers or deputy ministers seem more convincing than those of many of the incumbent ministers. Nonetheless, most of the attention from the short term point of view is being focused on the new Minister of Finance and his Deputy. In regard to the former, there are likely to be significant reservations which are unlikely to disappear in the short term. Gigaba has clearly been appointed to his position in order to placate the ANC Youth League which he used to head up. However, perceptions also exist that he was appointed to that position because he has been close to the Gupta family and secured important lucrative deals for them while he was Minister of Public Enterprises. His tenure in this ministry was disturbingly characterised by a precipitous decline in the level of governance in these organisations. It also involved the outbreak of electricity load shedding and the appointment and disbanding of a number of key boards of state- owned enterprises (SOEs). 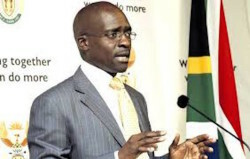 Then as Minister of Home Affairs Gigaba was responsible for the introduction of draconian new regulations for foreigners attempting to apply for visas to visit South Africa. Against several warnings from business, the introduction of this legislation witnessed a sharp fall in foreign tourism, which only came to be reversed last year in the wake of Gigaba having to rescind many of these regulations. More generally, the new Minister of Finance is seen as being ill qualified to take on the kind of tasks necessary to lead an important Ministry such as Finance. This incorporates not only the general oversight of public finances, but also the efficient running of SOEs and the avoidance of excessive debt buildup in these organisations which might result in them having to call on guarantees which ultimately push up the public debt. The National Treasury is also imbued with the task of overseeing procurement processes so necessary to avoid exploitation, corruption and unnecessary costs. The Public Investment Commission which oversees the pensions of public servants also falls within the ambit of the National Treasury. 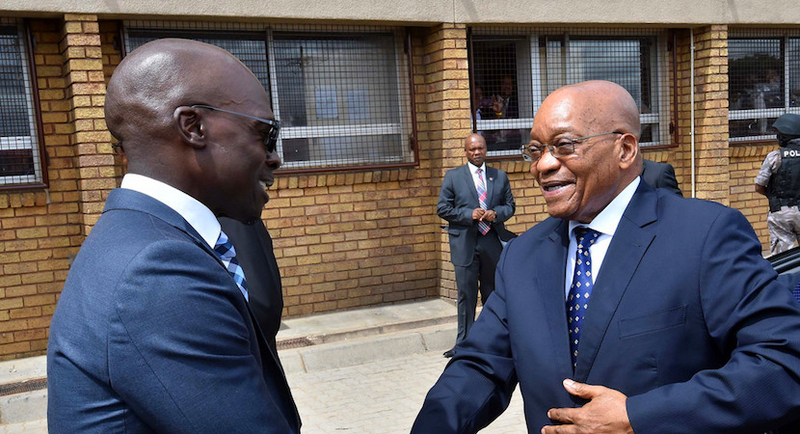 Unlike previous Ministers of Finance who had built up experience in the field prior to becoming Minister, Gigaba has had little experience in the field which requires some technical acumen. Before becoming Minister of Finance, Trevor Manuel had been Minister of Trade and Industry and before that a civil engineer. In Gordhan’s case, he had headed up extremely successfully SARS. Nhlanhla Nene, on the other hand, had served as Deputy Minister of Finance for several years. It is conceivable that Sfiso Buthelezi might prove to be an efficient foil for Gigaba, but his capabilities are also relatively untested. 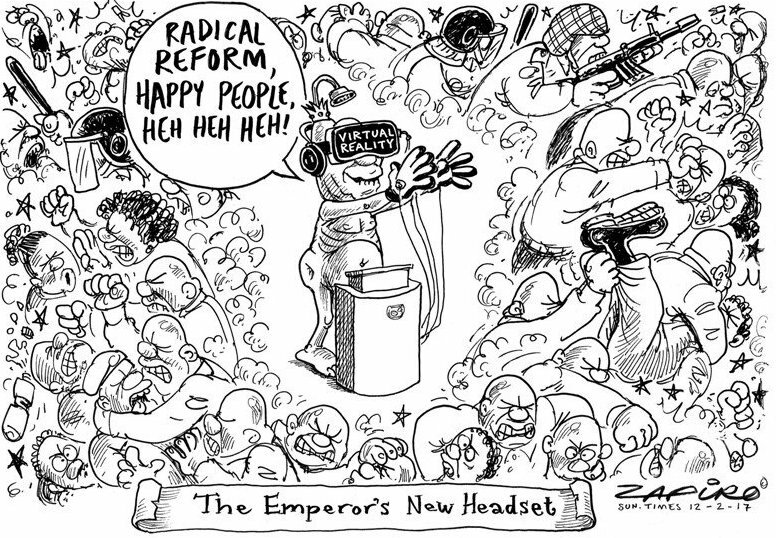 Setting aside the issue of “State capture”, ostensibly the main reason (other than the ridiculous intelligence report about them wanting to turn international investors against the President on their overseas roadshow) for the replacement of Gordhan and Jonas is that they were seen to be pandering to the wishes of “white monopoly capital”, rather than embarking upon “radical economic transformation” (RED). The irony about this accusation is that in many respects the difficulties and constraints currently encountered by National Treasury can be attributed precisely to the fact that Gordhan pandered to the wishes of the ANC to pursue expansionary fiscal policies to uplift the broader population when he first headed up the Finance Ministry between 2009 and 2013 that saw the public debt to GDP ratio rising sharply from 22% to 35% over that period. The problem is that far from being allowed to direct public funds at infrastructural investment and social upliftment, he was forced by his own party to expand the public service and increase its remuneration extremely generously. The same can be said of his successor of Nhlanhla Nene. What is seldom mentioned also is the fact that it was the government’s own incompetence in many fields saw many infrastructural investment programmes not being implemented or being implemented far more slowly than intended. Clearly, RED could not manifest itself in such an environment. 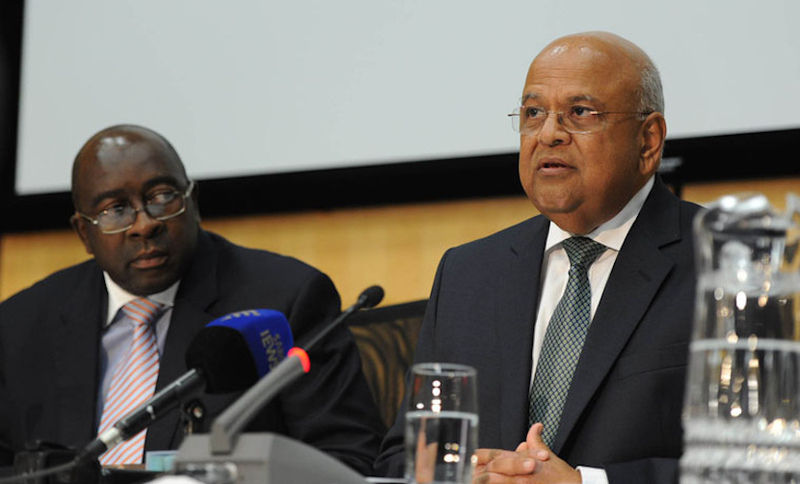 Both Nene and Gordhan were ultimately obliged to put on the brakes on fiscal stimulus for fear of the credit rating on South African government bonds being downgraded. Gigaba now professes to be committed to embarking upon RED, but suggests that he will do so within the ambit of fiscal rectitude. Arguably, RED and fiscal consolidation are incompatible unless accompanied by massive increases in taxation or savings from elsewhere, such as eliminating wastage and corruption. Many would suggest that taxes have already been increased to levels beyond which any further increases would prove to be very counter-productive for the public purse. In regard to incurring savings through the elimination of corruption, perceptions that Gigaba will be called upon to pander to the wishes of the president and those connected closely to him, seems to run counter to the notion of being able to pursue RED simultaneously with bringing down the budget deficit and the public debt. Credit rating agency Fitch was not long in issuing a statement on Friday in response to the Cabinet reshuffle and indicating that it could review its ratings on South African government debt. It states “continued political instability that adversely affect standards of governance, the economy or public finances, was one of the ratings sensitivities we highlighted in November when we revised the outlook on South Africa’s BBB- rating to negative from Stable. Two other risk factors we highlighted in November that could be heightened by the Cabinet reshuffle are: a failure to stabilise the government debt/GDP ratio and an increase in contingent liabilities (of SOEs) and a failure of GDP to recover substantially”. With Fitch’s credit rating at just above the threshold which distinguishes between investment and sub investment grade, but with a negative outlook, chances seem high that the rating agency will downgrade the country’s government debt rating to negative when it next reviews that rating in June. As it is, Moody’s is due to issue a review of the country’s rating on Friday. Fortunately, that may not be disastrous since Moody’s is the one of the big three credit rating agencies to have a credit rating currently two notches above sub investment grade. Therefore, even if it does downgrade the country’s credit rating, this will still leave it at investment grade. The really big danger rests with the increased likelihood that Standard and Poor’s will indeed, like Fitch, downgrade to junk status in June. In response to the argument against RED leading to credit rating downgrades, proponents of RED argue that too much attention is being paid to credit rating agencies and that the country’s independence to embark upon its own fiscal stimulus, should not be constrained by outside forces. The reality is that in order to embark upon RED, the government does indeed need to be able to access credit markets both domestically and internationally. Credit ratings downgrades on the other hand reduce the attraction of debt issued if its ratings downgraded, i.e. the risks of a default on that debt is perceived by investors to have increased. To cut one’s lines of credit off by ignoring ratings agencies condemns the government to have to resort to printing money in order to fund a rising trend of public debt. Ultimately, this leads to massive inflation and impoverishment of the working class, precisely the opposite result of what RED was originally intended to achieve. And just to reiterate, here we conceive of RED being directed at embarking upon projects to uplift living standards of the poor, even before contemplating issues of enhancing empowerment of the masses. Concerns regarding the ability of Gigaba to stick to fiscal consolidation whilst embarking upon RED simultaneously, threatens to see the Rand depreciating significantly further because of the increased probability of a credit rating downgrade to junk status. One might question why the Rand did not depreciate even further last week in the face of potentially disastrous developments for the economy. There are a number of possible explanations. Firstly, global sentiment towards emerging markets remains broadly extremely favourable and this is rubbing onto the Rand. This environment contrasts starkly with that which prevailed when the Rand plummeted in the face of the firing of Nhlanhla Nene. At that time, emerging markets were completely out of favour with imminent increases in US interest rates for the first time in nine years and commodity prices plunging to their lowest levels in as many years. South African money (Rand) bank notes and coins sit in this arranged photograph. Secondly, one detected rallies in the Rand as soon as they were developments which suggested a buildup of opposition to Zuma. This makes one believe that the markets might be optimistically looking ahead at a situation in which the ANC leadership changes for the better. Indeed, the opposition to the firing of Gordhan and Jonas by Ramaphosa, Mantashe and Mkhize might turn out to be important markers in the buildup of sufficient opposition to Zuma from within the ANC itself, to see the president being forced to step down quite soon. As negative as the firing of Gordhan might seem in the shorter term, some will suggest that this might prove to be the catalyst which brings down the President and deals a death blow to the notion of “State capture” and corruption. Thirdly, Director General of Finance, Lungisa Fuzile showed no signs of wanting to step down from his position, a development which could have precipitated a mass resignation of senior officials in the National Treasury, leaving a huge void of technical skills within the government’s prized institution. This also seemed to coincide with the Rand appearing to fall back from a critical technical resistance level on Friday. The 15-month downward trend of the Rand/Dollar exchange rate was at R13.55-R13.60 and the currency seemed to retreat from such levels. What this does mean, however, is that in the event of this level being broken, the currency could run substantially weaker over a short period of time. Such an outcome would lead to a surge in long-term interest rates, raising the government’s debt servicing costs in such a way as to leave still less scope for funding of RED. It would also lead to more inflation and less chance of any interest rate cuts which would impact negatively on the disposable income of households and their ability to spend. In other words it would be negative for economic growth. 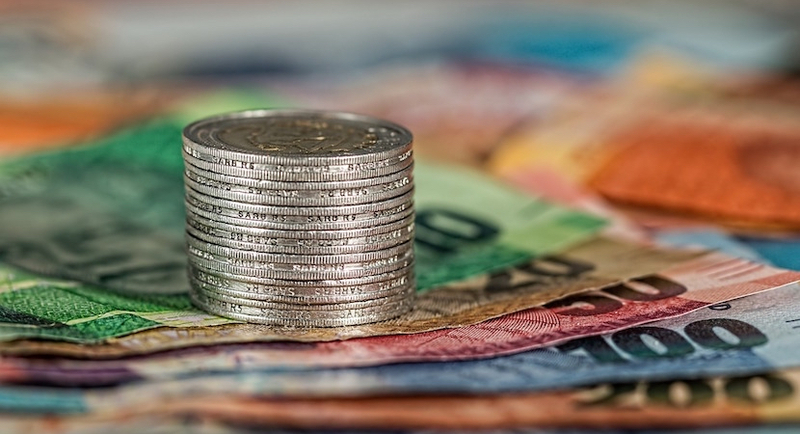 Much of the focus of the damage of recent events lies with the potential adverse impact it might have on the Rand’s exchange rate. This perception should however be seen in the right context. A weaker exchange rate stands to have some positive effects on the economy. Exporters would benefit. So too could holders of Rand hedge shares, whilst the rise in long-term interest rates could enhance the returns on pension funds. However, the same cannot be said of the impact of recent events on the level of capital investment in the economy. The main reason for economic growth last year coming in well below 1% was not because of a massive slump in consumer spending or government spending or a surge in imports, but rather because of a decline of almost 4% in the level of capital investment, much of it driven by private sector businesses, including foreign ones. The reason for this decline in capital investment was a progressive decline in business confidence in the face of uncertainty surrounding economic policy and the ability of Gordhan and Jonas to remain in their positions in the face of an obvious desire by President Zuma to get rid of them. Now that the latter event has indeed taken place and the perceptions of State capture have gathered momentum, the likelihood of capital investment been forthcoming is even less than before. In turn, this could depress economic growth outcomes just at a time when a nascent economic recovery seemed to be starting to emerge. It is in this context, that we need to give serious consideration to the possibility of revising downwards our economic growth forecasts for 2018 and 2019. Ironically, the factor which might prevent such a downturn from materialising is the possibility that the Rand’s exchange rate might drop back to levels which provide renewed competitiveness to exporters in a global environment that seems quite positive in the short term.